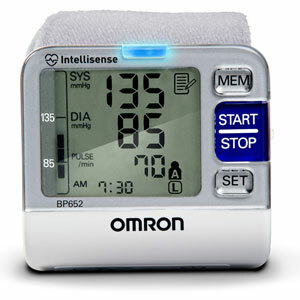 This is the summary of consumer reviews for Omron BP652 7 Series Blood Pressure Wrist Unit. The BoolPool rating for this product is Very Good, with 4.30 stars, and the price range is $39.99-$79.99. The Omron 7 Series™ Wrist home blood pressure monitor (Model 652) provides results similar to many of the leading upper arm home monitors. It is easy to use and gives fairly accurate readings. 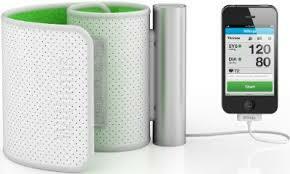 It also checks for irregular heartbeats and monitors pulse rate too. Its small size makes it portable and convenient to use. It is particularly helpful if you have a larger than average sized arm. The wrist cuff is easy and comfortable to use. The digital display is easy to read and it stores 100 past readings for 2 users. Omron’s exclusive Heart Guide Technology sets its monitor apart from the rest. The monitor automatically activates when your wrist is at heart level, ensuring accurate readings. Flashing orange and blue indicator lights help guide your wrist to your heart level, making it easier to find the correct position. It is also used and recommended by many doctors. Some consumers complain the readings are not same when compared to other monitors or readings taken in doctor’s office. 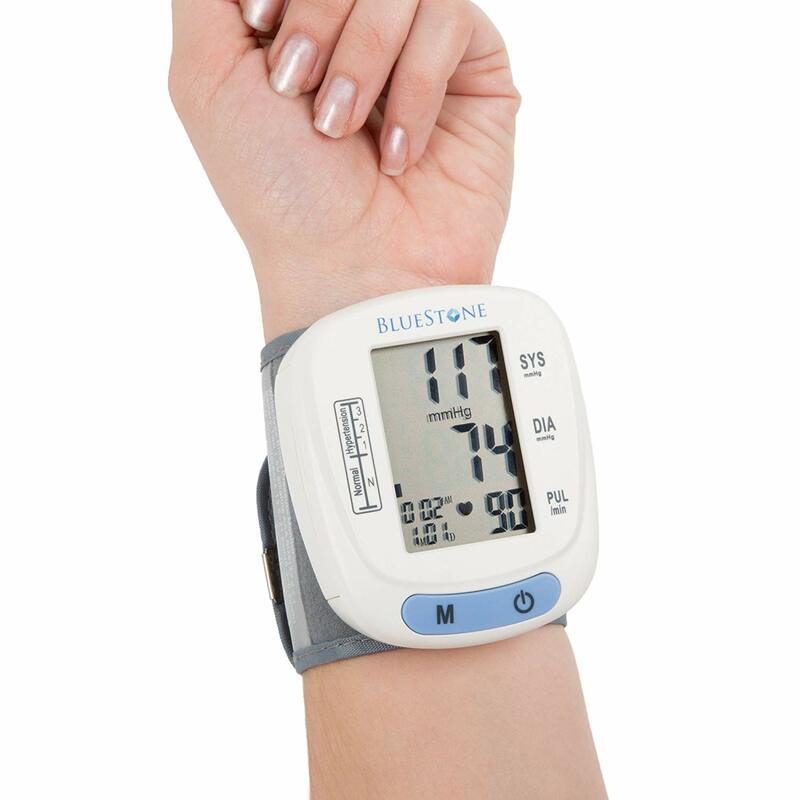 Overall Omron BP652 7 Series Blood Pressure Wrist Unit is liked and recommended by most consumers and it appears to be very accurate and easy to use. 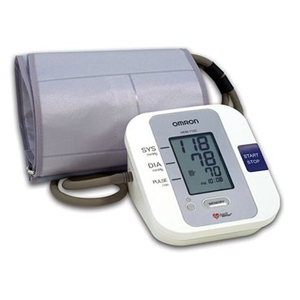 Long recognized for its accuracy and ease-of-use, this Omron blood pressure monitor makes it easier for people to stay on top of their blood pressure between visits to their doctor. When the Omron started giving me readings above 160/100 I took it to my doctor's office during my annual physical where it read 163/101 compared with my doctor's 122/82 reading with his arm cuff. Took several readings with Omron wrist cuff which were nearly identical to "physicians" cuff readings. The wrist cuff reads BP 20-30 points too low! This method and little painless cuff gives a more accurate reading I feel than the doctor's office for the reasons mentioned. I dread that dang arm cuff thing they use at the doctor's office. It compares accurately against the doctor office unit. I find more inconsistency in the readings than with an arm pressure cuff. The automatic arm cuffs had never registered well on me so I decided to try a wrist cuff. Easier taking pressure on wrist than typical arm cuff. However, I decided to buy the arm cuff for my friend's mother and am getting an arm cuff for myself too, the latter despite already having this cuff. Easy to use, works great. This Omron 7 series Wrist monitor works Great! Well, whatever works, I guess. I first bought the BP760 upper arm cuff monitor. It seems to work alright. We'd to reprogram it to work on the left arm for easy use. If it works with your wrist that's great. This unit even though it's meant for both right or left hand, didn't work as well on the right arm. I found this monitor easy to use, accurate, quick, and convenient. I've long been skeptical of automatic, or electronic BP measuring devices, finding them to be not as accurate as the old fashioned, Cuff and stethoscope auscultation method, but this nice easy to use compact wrist device is pretty consistent. Overall I think it's a very useful portable device, easy to operate and with decent enough accuracy. Like the monitor, it's easy and consistent. My wife has to check her blood pressure every day so I was looking for an easy to use; as well as accurate; monitor. The easy to follow instructions are full proof. Easy to use and reliable so far. It's very easy to use, and once you see that blue light come on, you know you're in the right position and the next time it's easy to just assume the correct position automatically. I checked this cuff with my manual equipment and found it to be accurate. He absolutely loves how easy it's to use! It keeps track of irregular activity and makes you aware of proper positioning to gain accurate readings...really good product. Works wonderful, gives good readings and very accurate. Checked accuracy with our Doctors office equipment, readings from product same as Doctors equipment. I use this product for work. good price for a dependable product. I really like the blue light that indicates you're getting an accurate reading. I love the convenenience of this product. 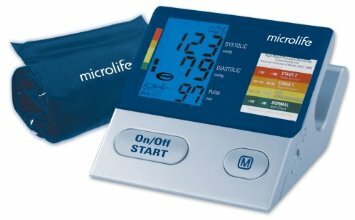 My doctor wanted me to have my blood pressure taken as needed with a quality product and he suggested OMRON brand...I did a bit of research and found this product has good review. I think I did it properly the first time, but in later attempts I got some readings that were higher and lower than seemed realistic based on my blood pressure readings from several doctor's visits. Both units were compared to my Doctor's BP monitor. The device pumps quickly and delivers an accurate (more on this) reading within a few seconds. Also, the unit will average the last three readings done within a 10 minute time period. The numbers on the digital display are easy to read. The first one read the Systolic Pressure 35 points too high and Diastolic pressure 15 points too high. 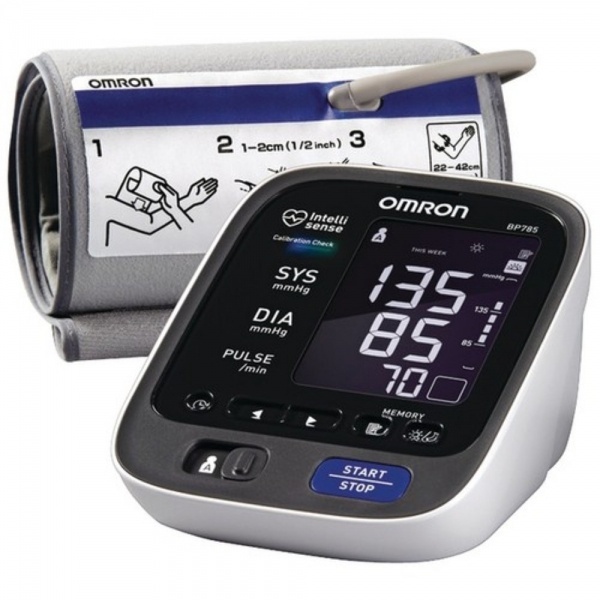 I love the Omron Bp652 7 Series Blood Pressure Wrist Unit - it's everything a BP unit should be - easy, efficient and accurate. The "BP level indicator" that compares one's results to the "American Heart Association guidelines for normal home blood pressure levels.". Highest rated BP monitor by Consumer Reports. I verified my correct BP with a manual cuff. Having been diagnosed with hypertension and placed on 2 BP meds, was advised to periodically check BP. When you've the BP652 properly positioned over your heart, an indicator light changes from orange to blue. For the first three or four days, I checked my BP and heart rate for every single activity as well as various. Also, my wife's BP which is very different from mine, tracks with this unit and our upper arm Omron monitor. 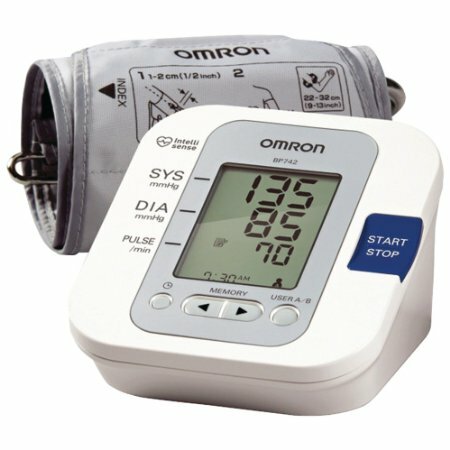 Omron Bp652 7 Series Blood Pressure Wrist Unit--This pressure kit is easy to use, just keep it near your heart and it starts to work quickly. That's, unless the person has had a left side stroke or breast removed, then use the right arm, but know that the BP measurement will be a bit lower on the right arm. It gives more accurate readings than the arm unit we've. I bought this unit to replace my old Omron arm cuff monitor that I'd verified as accurate at the doctor's office. And it's MORE accurate than my old arm cuff. I know the pulse rate is accurate, giving me greater confidence that the other readings are accurate as well. My local pharmacy doesn't stock this item "because wrist models aren't accurate," however, according to testing by Consumer Reports magazine, this unit is exceedingly accurate when compared with traditional units that wrap around the upper arm. I also like the ease of use and "idiot proof" light that changes from amber to blue when your arm is in the correct position to get an correct accurate reading every time. I couldn't rely on my old Omron arm cuff unit to give me accurate readings, so I purchased this wrist unit. This unit has consistently been accurate with the manual blood pressure readings. Checked multiple times over my visit, it's accurate. That way you'll get an accurate reading. There are bound to be some differences testing your bp at home versus in a store or the doctor's office, and differences between a wrist reading and upper arm reading, but we've found the results usually 10-15 points (approx) lower than anywhere else. It's very easy to read the numbers. This Omron model was giving readings 15 points below the readings she takes with conventional equipment. Taking a reading is extremely simple and the built-in guidance system leads to no-fail accurate readings. 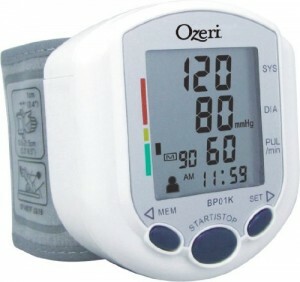 Overall this's very good blood pressure monitor: easy to use and gives accurate readings. She tried it at TWO different drug stores, different times of day, multiple times, and every time the device was off by approximately 30 points. For example, on one occasion, the first reading was 145/97, the second reading just 3 minutes afterwards was 111/76. They found that some wrist monitors consistently gave accurate readings. I read the reviews and was sold. Accuracy checked out fine at Dr.'s office. best brand name, best blood monitor you can have and i did compare 2 other brand and i found it omron is the best! I took this item to my Dr. to check for accuracy and it was spot on. CR rated this at the top and now I know why. Consumer Reports gives this a top rating so I bought it. But in the doctor's office it proved to be equally as accurate as his professional meter. Purchased for my sistetr...she loves it!!. accurate, convenient, great design...I just love it and happy to purchase it for my mom whom she worrier about her BP but i now trust the result of this device. This's the best blood pressure monitor I've purchased so far...I've told all my family. I've been purchasing from Amazon since 1998 and this's probably my best purchase ever. I wonder if Omron has thought to hire someone who could write a decent manual that includes as explanation of each icon. That would result in a manual that actually depicted each symbol or picture present on the display and explained the purpose or use of each. What's wrong with this company? How can the manual for such a simple device be so bad?